When you are standing at Blue Lagoon overlooking the wonderful turquoise sea, don’t you have the urge to dive in and discover what’s underneath? Nusa Ceningan and Nusa Lembogan are home to the abundant marine ecosystem, including the majestic giant manta ray. Snorkeling in the water and swim with these magical creatures are the favorite pastime for locals and tourists alike. Everybody, either a seasoned diver or amateur, would not miss any opportunity to dive into the ocean of Nusa Ceningan and Nusa Lembogan. On both islands, there are experienced and certified diving instructors that offer various diving routes and courses tailored to divers of all level of skills. If you would like to get a proper international diving certificate, there are various institution that offers international standards diving course on Nusa Lembogan and Ceningan. 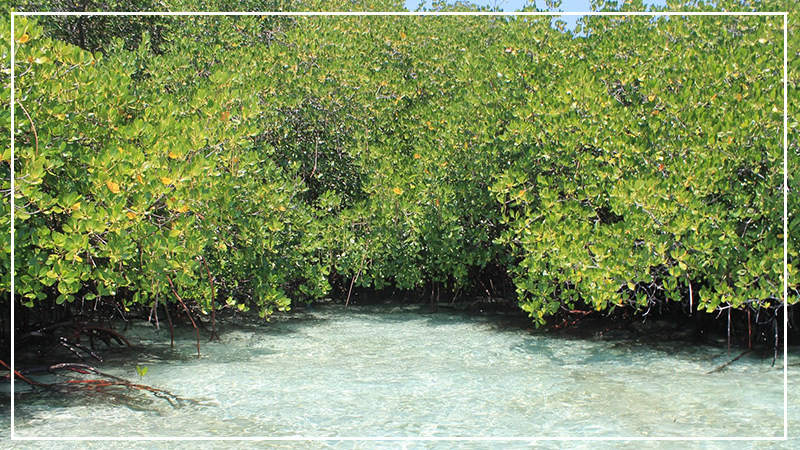 The Estuary channel connecting the two island still has a significant number of seaweed farms and is home to the pristine mangrove forest. The view at the forest is truly an inspiring journey, witnessing the wonder of mother nature and listening to the musical chirping of various birds. You can either rent a local boat, small gondola, kayak or even stand up paddle board to cruise through the forest. The newly built yellow bridge of love connecting Nusa Lembogan and Nusa Ceningan has become the most instagrammable place on the island with its sharp contrast of yellow color to the verdant woods and azure sea. Taking a motorbike or bicycle to cross the bridge would only mean 1 minute travel time. The breathtaking view on the central Ceningan ridge on sunset over Bali is a must go for all travelers. You would be simply mesmerized by the beauty of it all with this unique image. Easily accessible from Nusa Lembogan, Nusa Ceningan also has many dreamlike beaches for a lazy sunbathing and reading session. The Dream beach close to the Devil’s tear cove, sandy bay or mushroom beach are all very close the offers distinctive views. Attracted by the serenity and beauty of Nusa Lembogan and Ceningan, many travelers have settled on the island and opening unique restaurants that convey their own sense of what these islands meant for them. Take a motorbike and ride around the island just to stop by any restaurant and local warung, the wonder of Indonesian cuisine disappoints no one. Being the most intelligent and cutest, these friendly dolphins visit the cliff side of Nusa Ceningan. With good patient and some small amount of luck, you’ll be able to spot them in the water. If Nusa Lembogan is known for its water sports and scuba diving, Nusa Ceningan is famous for its cliff jumping spots both for the curious and adventurous. From the famous Mahana point diving spot to Avia Blue lagoon, you will be able to find plenty of cliff jumping options that suit your needs .